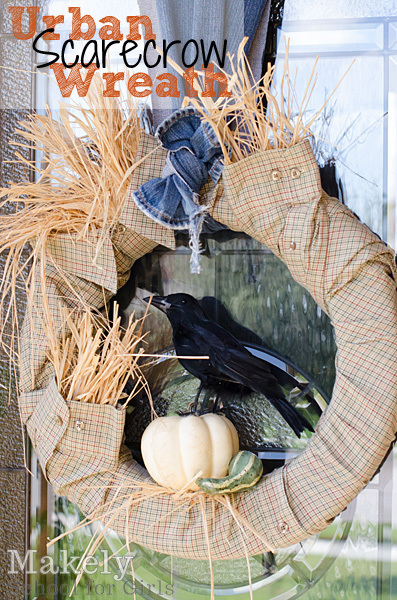 Scarecrows have never been a Fall decoration that I love, but Lindsey has about convinced me otherwise with this Urban Scarecrow Wreath. All the fun of a scarecrow without the creepy scarecrow face in a fun Fall wreath. My hubby might have just the shirt for me to steal to make on of my own! You can check out how to make your own Fall scarecrow wreath over at Makely School For Girls.